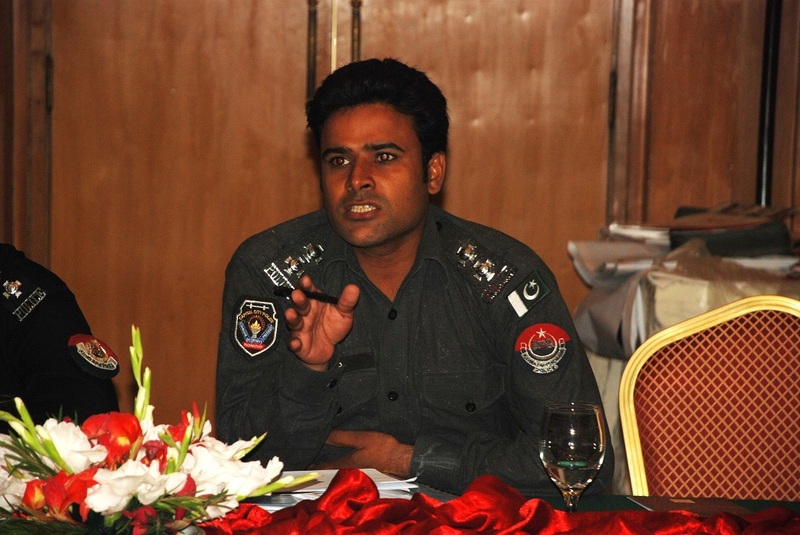 A workshop was held with Senior Police Officials of Peshawar on 01.10.2014 in Pearl Continental Hotel, Peshawar. It comprised of Assistant Sub-Inspectors, Sub-Inspectors, Inspectors, and Mr. Khalid Mehmood Hamdani AIG (Operations) Peshawar graced the event as the Chief Guest. 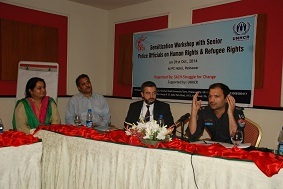 SACH-Struggle for change organized the workshop with support of UNHCR. 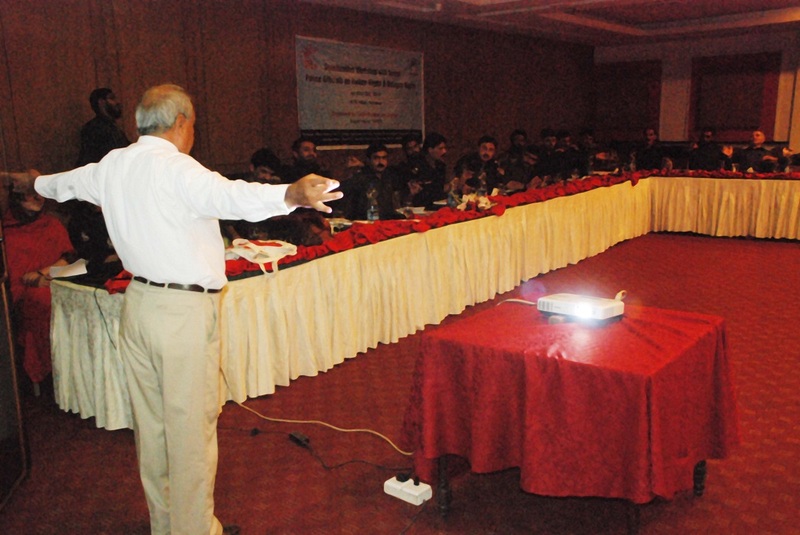 It was aimed at to sensitize the senior police officials on human and refugee rights, the current legal status of registered afghan refugees, status and value of POR card, the role of Commissionerate for Afghan Refugees (CAR), role of Child Protection Units, role of SACH and the mandate of UNHCR. 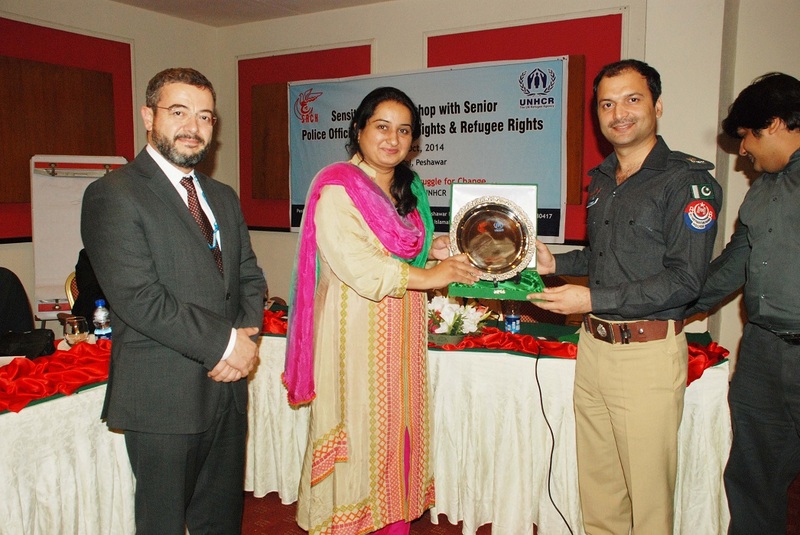 Ms Minako Kakuma, Senior Protection Officer UNHCR Sub-Office Peshawar welcomed all the participants. She appreciated them for sparing time from their busy and round the clock schedule. She also shared the mandate and services of UNHCR for refugees and IDPs. Mr. Bashir Ahmed, Protection Officer presented a brief introduction of UNHCR, sharing that the agency is devoted to serve Refugees around the globe. He briefed the participants about the core mandate of UNHCR which included the ratification/application of international convention for the protection and well-being of refugees. Presenting an introduction to SACH, Mr. Awais-ur-Rehman, Task Manager from SACH - Struggle for Change shared that the organization is working on the victims of violence and torture. He also shared that SACH has been working with UNHCR as its Implementing Partner, extending free legal assistance to registered refugees. 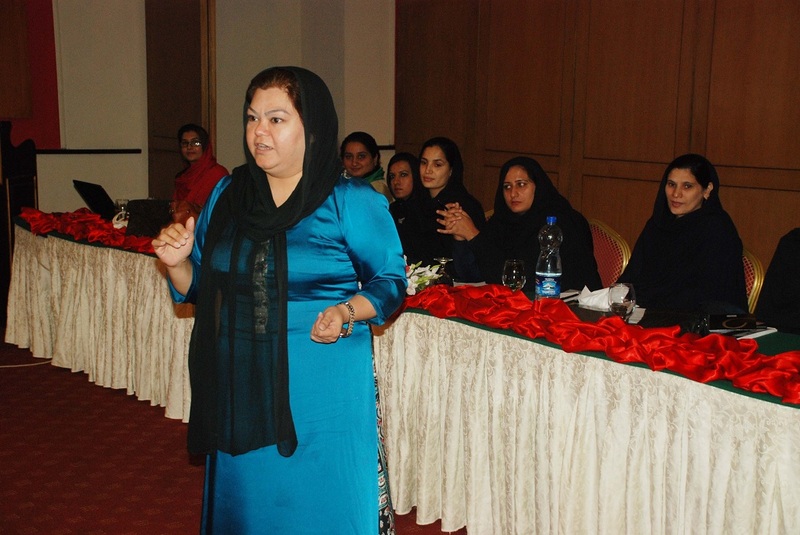 Another key point in the workshop was highlighted by Ms. Wajiha Afzal from UNHCR on the issues of Gender Based Violence (GBV). Mr. Bilal Khan from KP Child Protection Unit threw light on the prevalence and effects of Gender Based Violence and Child protection. 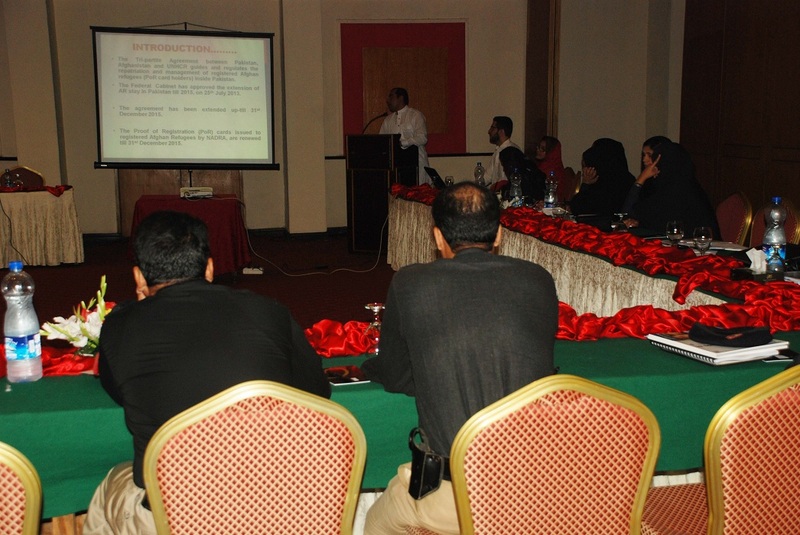 The discussion took place in the context of Police officials and role of law enforcement agencies. The presence and effects of stress are very common in society. The importance of stress management has a very vital place now a day. Mr. Zia Ahmad (Senior Trainer, NIM) conducted a session regarding stress management and highlighted some very effective techniques to overcome stress. 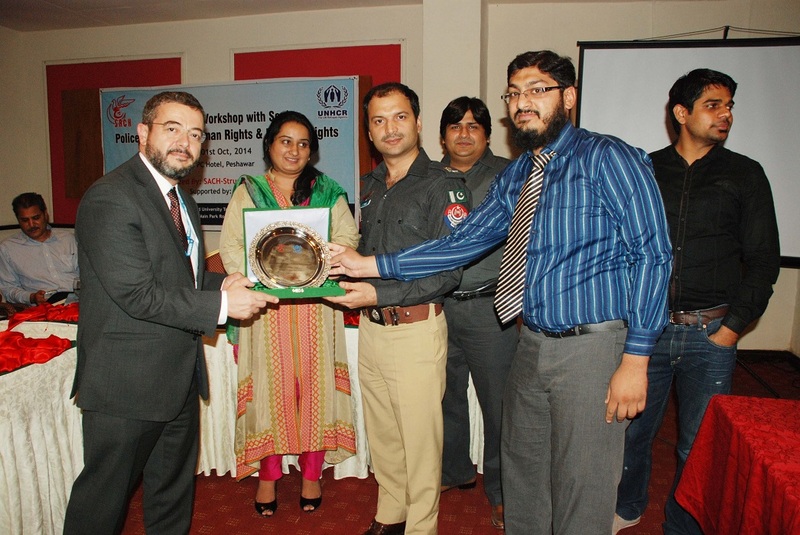 The honourable Chief Guest, Mr. Khalid Mehmood Hamdani AIG (Operations), thanked SACH and UNHCR for organizing the activity. He shared that the police department is the custodian of violence in a state. He discussed that police is there where there is a crime, he is on the front line to control the law and order situation and provide peace and security to the citizens. He advised his subordinates sitting over there in the workshop to implement and observe whatever they have learnt in the workshop. He directed his sub-ordinate police officials to perform the duties efficiently regarding refugees’ issues and highly appreciated SACH for providing such a great and informative platform for them. Concluding remarks of the workshop were given by Mr. Mustafa Server (Senior Operational Coordinator- Sub Office Peshawar) highlighting the importance of role of law enforcement bodies in assuring the improvement of Refugee problem. He shared that UNHCR is continuously coordinating with all the relevant authorities for the better facilitation to the Refugees. He added that more effective efforts should be planned in future for the betterment of refugees by the government, law enforcement agencies and private bodies. In her vote of thanks, Ms. Shazia Azhar, Project Coordinator from SACH extended heartfelt thanks to the Management of Police Department for granting approval for the workshop. She hoped that the workshop will serve as a framework to develop better understandings regarding refugee’s lives and their conditions. She thanked chief guest, members from UNHCR, Home Department, Child Protection Unit KP and all participants for their active participation and making the activity successful.